Last week was Project Sunshine Week, an annual week dedicated to Project Sunshine’s mission and services that raises awareness and funds for the organization. As many of you know, I have been working for Project Sunshine for the past five and a half years. Project Sunshine’s mission is to empower a dynamic and dedicated corps of over 10,000 volunteers to bring programming – recreational (arts), educational (tutoring and mentoring) and social service (HIV and nutritional counseling) – to over 60,000 children facing medical challenges and their families in 150 major cities across the United States and in five international satellite sites: Canada, China, Israel, Kenya and Puerto Rico. Project Sunshine’s volunteers selflessly donate their time to relieve the anxiety of young patients and in a context of fun and play, foster in them the courage and coping skills necessary to confront procedures that lie ahead. Project Sunshine volunteers spread sunshine, restoring a crucial sense of normalcy to the pediatric healthcare environment. Ever since starting 365scoops, my coworkers have been wonderful guinea pigs for my many flavor concoctions. In fact, the Project Sunshine team was the first to support this ice cream project. So, it is only fair to them – and to the children and families that we serve – that I dedicate this ice cream to Project Sunshine! A little about this lovely flavor. My mother makes an outrageously delicious lemon meringue pie. Personally, I turn my nose up at lemon meringue pie because, well, it tastes really fake and airy. Not this one. This one, ah, it’s perfect. First, you start with a beautiful meringue crust, then you fill it with home made lemon curd, whipped cream, lemon zest, and top it off with delectably sweet raspberries. The flavor combination is perfect, and this dessert is gorgeous too. Being that this dessert is also yellow, I felt that it was a no-brainer to make it the (official) Project Sunshine ice cream. Oh, and one more thing, this year Project Sunshine’s benefit celebration (which culminated the spectacular Project Sunshine week) was called One Sunny Night – and so this ice cream is it’s namesake. So, raise your ice cream bowls and cheers this wonderful organization! To the 60,000 children and family members served by Project Sunshine each year, this one’s for you! Inspired by my mom’s famous lemon meringue pie and created by moi! 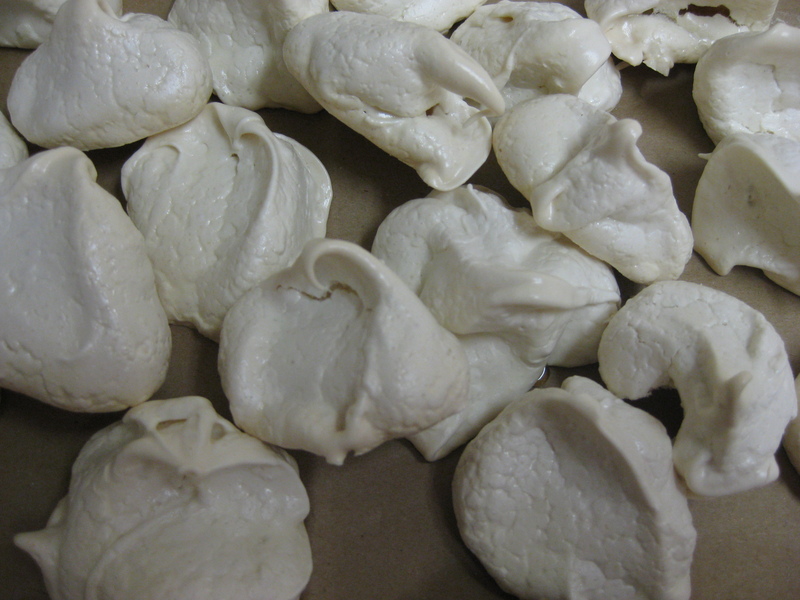 First make the meringues since they take quite a while to cook. Separate the egg yolks and whites (reserve the yolks for the lemon curd) and using either an electric hand mixer or a mixmaster begin mixing the egg whites until they start to get foamy. Little by little, begin adding the cup of sugar into the egg whites. Pour in a little sugar, and continue mixing. Repeat this process until you have used up all the sugar and the egg whites form small white peaks. This, at least, is the technical way to make meringues. But, if you grew up in my household, the true test to see whether the egg whites are ready, is to hold the bowl upside down over your head, and if they don’t move or fall on you (and heaven help you if they do, it’s a big fat mess to clean up!) they’re ready! Whatever you do, don’t underbeat the eggwhites. Before baking the meringues, cut two pieces of paper from large brown paper shopping bags (you know, the kind you get a wholefoods if you forget to bring your own bag!) Cut off the handles and cut the paper bag into two sheets, one for each cookie sheet. Again, most people use parchment paper, but I swear that brown paper bags is the best technique. My mom has been been doing it forever in her house, and I’m telling you, it makes these meringues perfect. Spoon dollops of the meringue batter onto the cookie sheets and bake at 200 degrees for approximately 1 hour and 30 minutes to two hours. When checking to see whether the meringues are ready, never open the oven door, you’ll lose all the heat. Instead, turn the oven light on. Once the meringues are ready (they’ll brown slightly on top) take them out of the oven and let them cool completely. 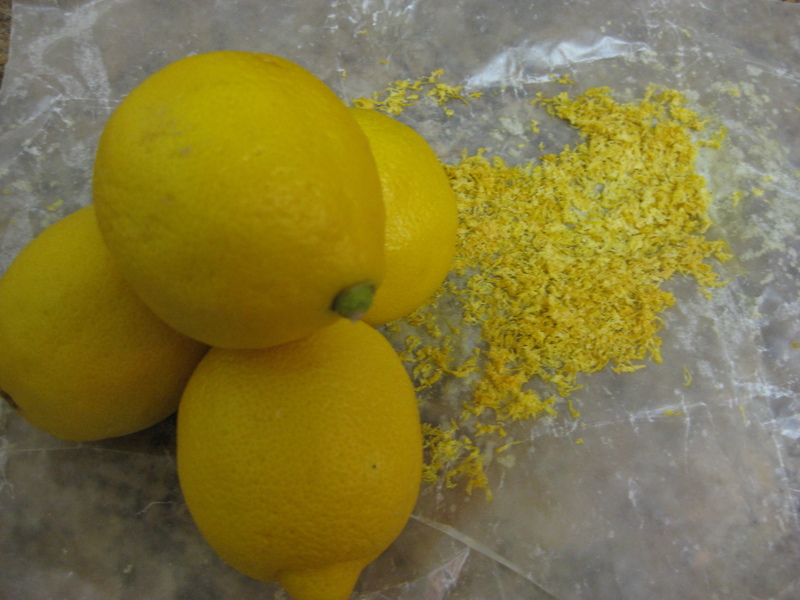 Now it’s time to make the lemon curd (bear in mind that you’re doing this while the meringues are baking). Combine egg yolks with 1/2 cup of sugar and 1/4 cup lemon juice in a saucepan. Cook over low heat, stirring constantly with a wire whisk until thickened. Remove from heat and cool for one hour. 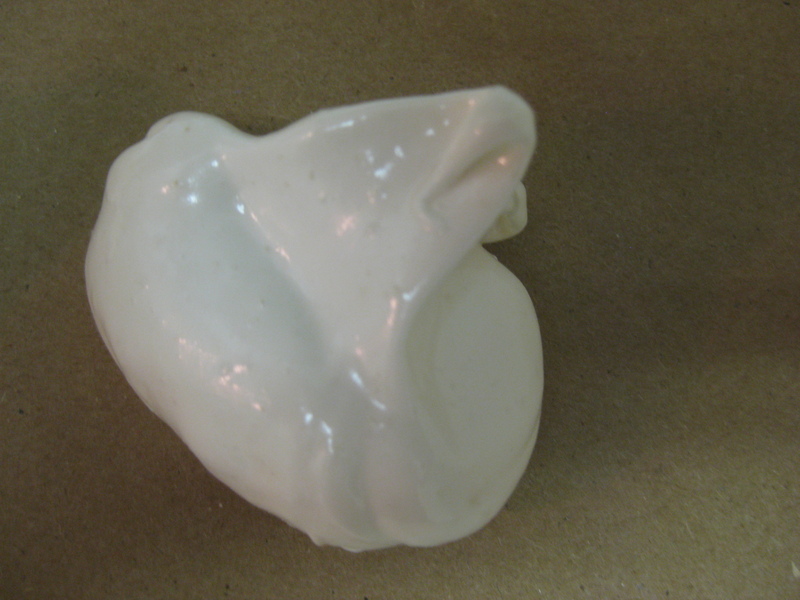 And finally – the piece de resistance – the ice cream base! 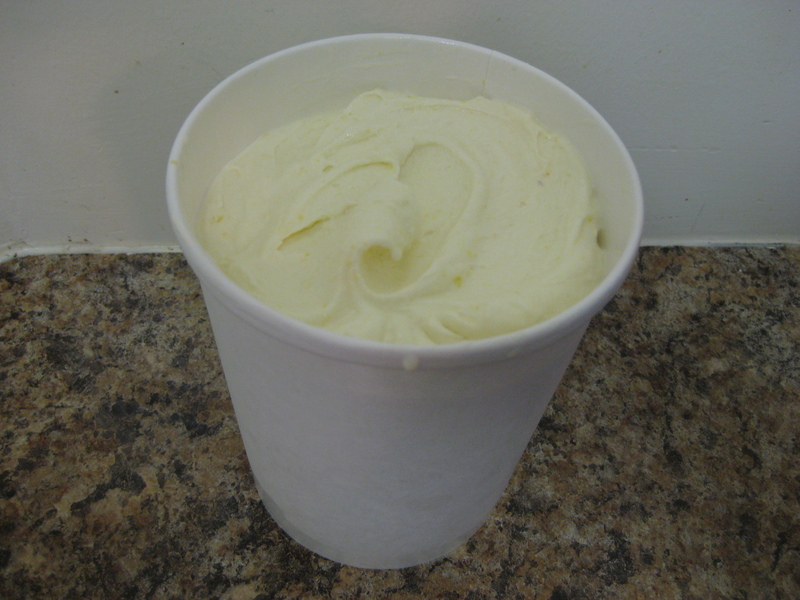 Now that you have the lemon curd/whipped cream mixture ready, you’ll use this as one of the main ingredients for the actual ice cream. In a large mixing bowl stir together 1 1/2 cups of the lemon curd/whipped cream mixture, 1 cup of half-and-half, 1/2 cup lemon juice, 1/2 cup sugar and 1 tbs lemon zest. 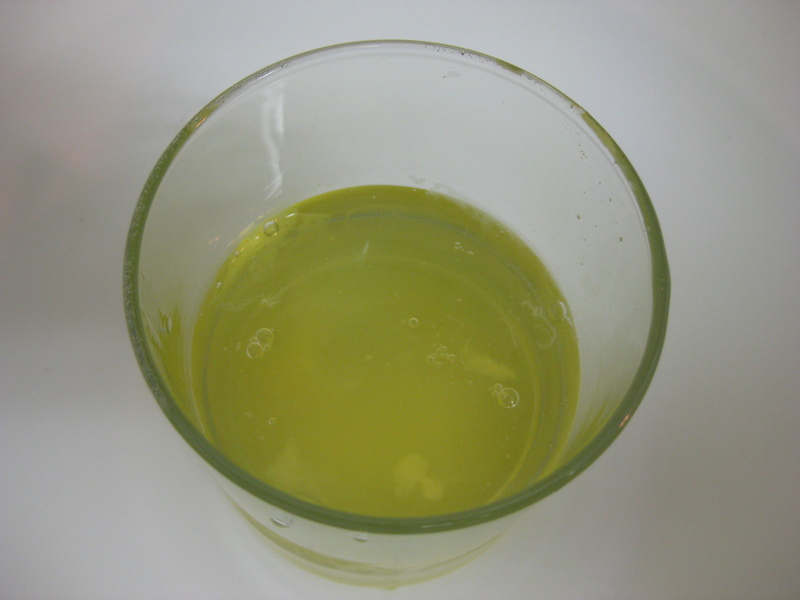 Once the mixture is completely stirred and the sugar is dissolved, let cool completely in the refrigerator. Drumroll please...the final product...One Sunny Night! Sigh. Now it’s time for the assembly. Scoop yourself a few heaps of the lemon ice cream. 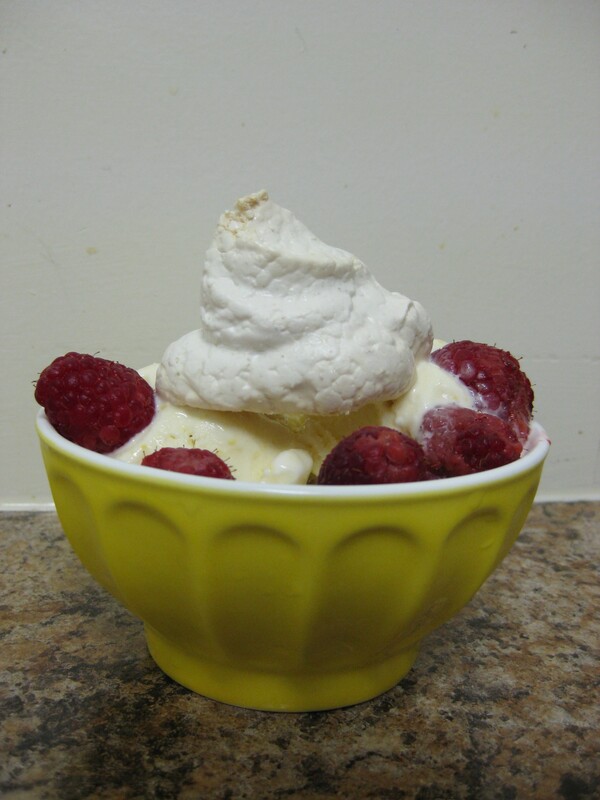 Crush up one meringue on top and garnish with raspberries. The Verdict: I may be slightly biased here, because the lemon raspberry meringue pie is one of my favorite desserts, but when turned into an ice cream this recipe is super creamy, airy, delicious and refreshing. You’ll see specks of lemon zest beautifully woven throughout the ice cream, and the combination of sweet meringues with tart lemon ice cream and fresh raspberry is truly perfect. This is an excellent summer dessert, and a perfect way to top off any meal – it truly makes for One Sunny Night!